The W.A. Monty and Tex Moncrief Radiation Oncology Building houses the Radiation Oncology Clinic. It's connected to the Seay Building, which houses the Harold C. Simmons Comprehensive Cancer Center. 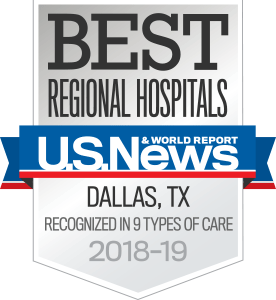 The Simmons Comprehensive Cancer Center is the first and only medical center in North Texas to attain National Cancer Institute (NCI) designation.